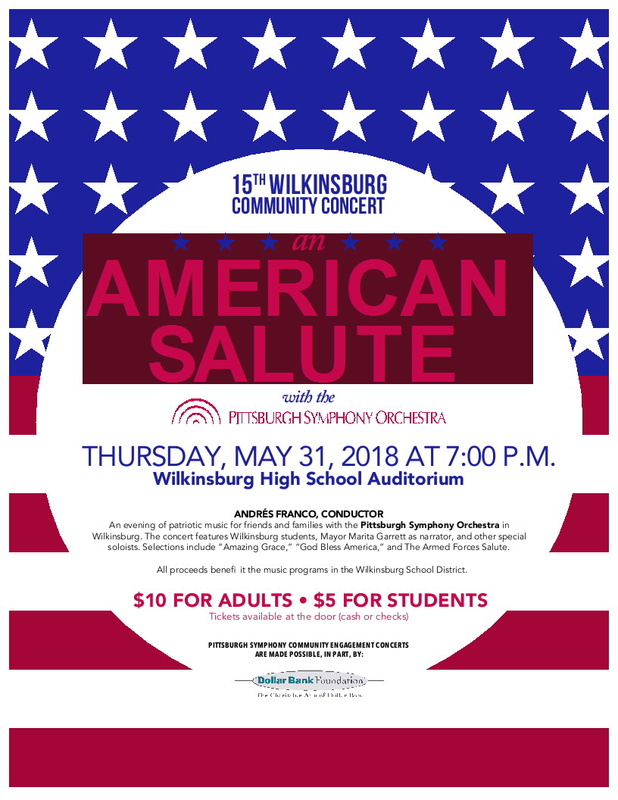 An evening of patriotic music for friends and families with the Pittsburgh Symphony Orchestra in Wilkinsburg. 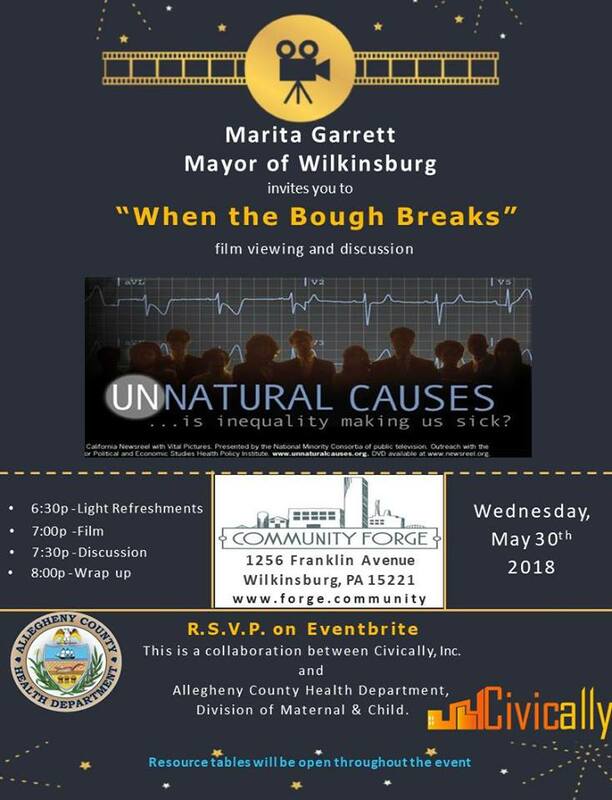 The concert freatures Wilkinsburg students, Mayor Marita Garrett as narrator, and other special soloists. Selections include “Amazing Grace,” “God Bless America,” and The Armed Forces Salute. 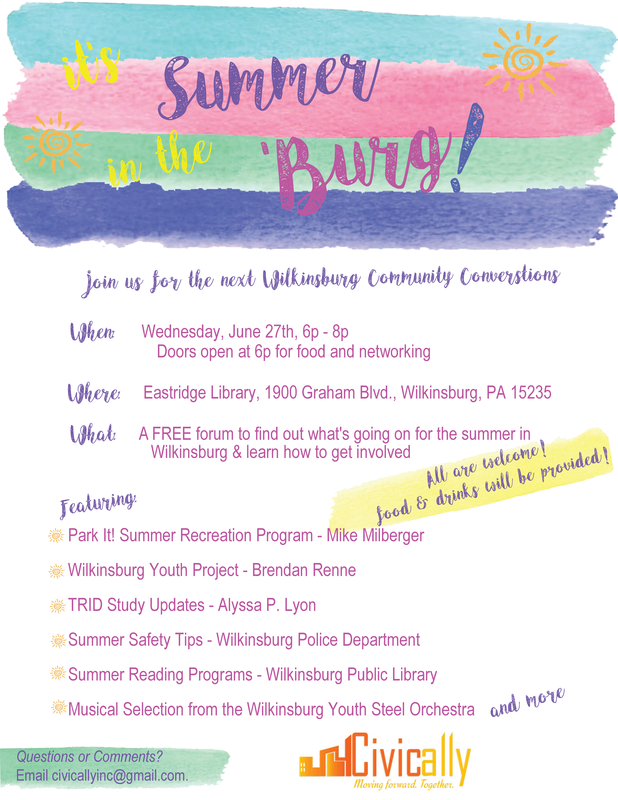 All proceeds benefit the music programs in the Wilkinsburg School District.